Enhance your landscaping with delightful spring flowers. Art In Nature offers a beautiful variety! Bring twice the color to your patio this summer! A season-long supply of sweet, juicy strawberries... from your own garden! Hanging Cherry Tomato Kit and Hanging Strawberry Kit. Give new life to your garden... and Honeybees too! Exotic blooms and heavenly fragrance! Brighten any wall or fence with a cascade of sunny blooms! Old-fashioned garden beauty... in a newer, hardier form. Hanging cherry tomato kit includes hanging bag, nylon rope and tomato seeds. 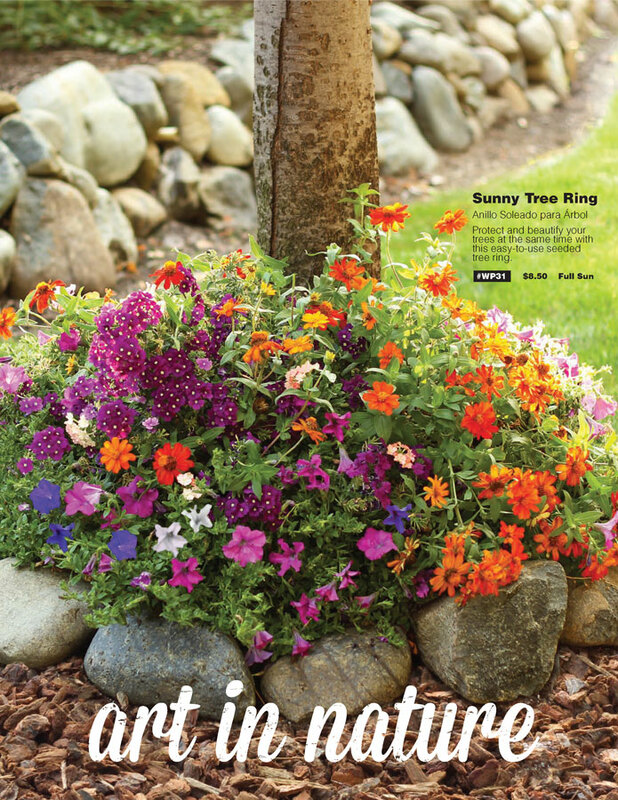 Attract multitudes of butterflies with this colorful blend of annuals for quick, long lasting color.